With just two rounds in the Challenge left, Visionist’s two teams are looking for a photo finish in next month’s international Greenpower Challenge finals. With just two rounds of the annual Greenpower Challenge left, the countdown to the international finals has begun with two Visionist Consulting-sponsored teams—Team Impulse Alpha and Team Impulse Beta—emerging through to the finals from this year’s qualifiers in the 11-16 and 16-25 age categories respectively. Pitted against 57 other teams, the two teams raced into the finals on September 9, at the Dunsfold Aerodrome—better known as the Top Gear track—in Surrey. Using the adrenalin-rush of motorsport to spark early enthusiasm for Science, Technology, Engineering and Maths (STEM), the Greenpower Challenge aims to deliver the next generation of engineers by challenging them to design and build an electric car to Greenpower specs for racing at its endurance events across the UK. Competitors are supplied with the same batteries and motors, but age-appropriate kit cars are available for teams who may not have the facilities to design and build their own cars. The Goblin kit car for the 9-11 age group for instance takes about 15 hours to build and can be dismantled and rebuilt each year with a new team of children. The Visionist cars are both designed, built and maintained by students of Bryanston School, aco-educational independent school for both day and boarding pupils, located outside the village of Bryanston, near the town of Blandford Forum, in Dorset,south-west England. Strict safety requirements are included in the final design, with every car passing through stringent scrutiny before every race. Run under the auspices of the UK-based Greenpower Education Trust, which works to close the engineering skills gap,the Greenpower Challenge aims to unearth engineering talent at an early age. The Royal Academy of Engineering estimates that the UK needs 104 000 STEM graduates per year, and 56 000 technicians,between now and 2020. Over 700 teams of students aged nine to 25 compete at Greenpower events in the UK and in other countries, including the US, China, India, Singapore, Malaysia and Poland. More than 10 000 students, from primary school age through to university, and across three age categories—ages 9-11, 11–16, and 16-25—participate in the 35+ qualifying heats each year, culminating in the annual international final staged at Rockingham Motor Speedway in Northampton, which this year will be raced over two days, starting on October 18. “Initiatives like this help us to reach tomorrow’s talent by engaging young people in engineering and science from an early age and nurturing their passion for those disciplines,” said Peter Miller, owner and director of Visionist Consulting. As passionate digital innovation specialists, Visionist Consulting works with organisations, government departments and not-for-profits to transform their digital capabilities,processes and people, to ensure their digital infrastructure investments deliver significant return on investment. Founded in 2003, Visionist has over 15 years’ government delivery experience and 20 years’ experience in delivering digital solutions to large organisations and not-for-profits. 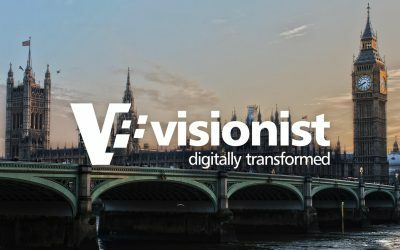 Currently undergoing a period of rapid growth, Visionist is now helping senior leaders across government plan and deliver some of the boldest transformational programmes required yet to modernise the UK’s public services. Government clients have included the Departments for International Trade, Business, Energy & Industrial Strategy, Energy & Climate Change, and Education; the Ministry of Defence and Home Office; and The Oil & Gas Authority, Office of Communications(Ofcom), HM Revenue & Customs, Innovate UK and the NHS. Private sector clients have included City & Guilds, Deloitte, Deutsche Bank, Experian, Fujitsu, Legal &General, Prudential, and The Law Society. “We have over 100 permanent in-house staff, but our scalable operational model allows us to draw on niche expertise from a wider resource pool of over 800 subject matter experts, enabling us to deliver attentive and exceptional customer service,” explained Miller.